This book speaks directly to issues of equity and school transformation, and shows how one indigenous minority teachers' group engaged in a process of transforming schooling in their community. Documented in one small locale far-removed from mainstream America, the personal narratives by Yupík Eskimo teachers address the very heart of school reform. The teachers' struggles portray the first in a series of steps through which a group of Yupík teachers and university colleagues began a slow process of reconciling cultural differences and conflict between the culture of the school and the culture of the community. The story told in this book goes well beyond documenting individual narratives, by providing examples and insights for others who are involved in creating culturally responsive education that fundamentally changes the role and relationship of teachers and community to schooling. Contents: S.B. Sarason, Foreword. Preface. 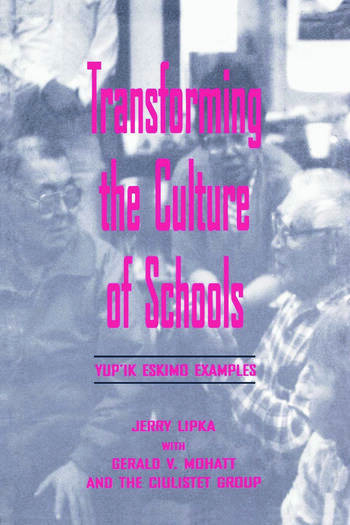 Part I: J. Lipka, Introduction: A Framework for Understanding the Possibilities of a Yup'ik Teacher Group. Part II:Becoming a Teacher: Overcoming Cultural Barriers. G.V. Mohatt, N. Sharp, The Evolution and Development of a Yup'ik Teacher. G.V. Mohatt, F. Parker, Two Teachers, Two Contexts. S. Nelson-Barber, V. Dull, Don't Act Like a Teacher! Images of Effective Instruction in a Yup'ik Eskimo Classroom. Part III:Transforming the Culture of Schooling. J. Lipka, E. Yanez, Identifying and Understanding Cultural Differences: Toward a Culturally Based Padagogy. J. Lipka, Expanding Curricular and Pedagogical Possibilities: Yup'ik-Based Mathematics, Science, and Literacy. Part IV: J. Lipka, Transforming Schooling: From Possibilities to Actuality? J. Lipka, Appendix: Methodology. J. Lipka, G.V. Mohatt, Epilogue. "The contributors in this significant and timely volume challenge educators to question previously held misconceptions and to obtain necessary, essential knowledge of Asian Pacific American culture to better serve this student population." "This book is particularly useful to educators for its example of the role that long-term community-based and ethnographic research can play in transforming schooling." "As a detailed study of applied ethnography in on local context, this book should be valuable for all professionals working cross culturally, especially in communities with a legacy of oppression and assimilation." "...a comprehensive analysis of the critical issues facing state policymakers in the wake of the first new federal legislation in sixty years. Bonnett has provided an astute guide to the problems as well as the opportunities that state policymakers face as they help shape this crucial industry's development into the 21st Century." and outside their classrooms....For preservice and inservice teachers, the book provides excellent examples that clearly establish the relationship between productive learning in school and cultural knowledge and experiences outside of school. For scholars and researchers, it provides an explicit example of an approach to insider-outsider collaboration in an ethnographic study of culture for the purpose of informing school practices."